"Relief & Recycling Center" volcano Fuego Project! Sacred book of the Quiché Maya, discovered in Santo Tomás Chuilá, now known as Chichicastenango, at the beginning of the 18th century. 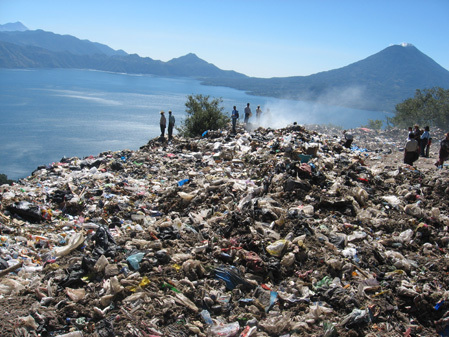 The majority of villages in Guatemala have no official trash dumps or systems to collect and contain their trash. Trash is dumped on the ground, in lakes and in rivers. Vital drinking water is being contaminated. Children are playing in garbage and disease is being spread. To promote holistic consciousness among the indigenous villages of Guatemala, in order to curb the contamination of air, soil and water, promote healthier living conditions, and preserve the beauty of the land. The world wide consuming of enbottled water since 1997 has tripled to aprox. 240 millions of liters, which are sold in plastic bottles! 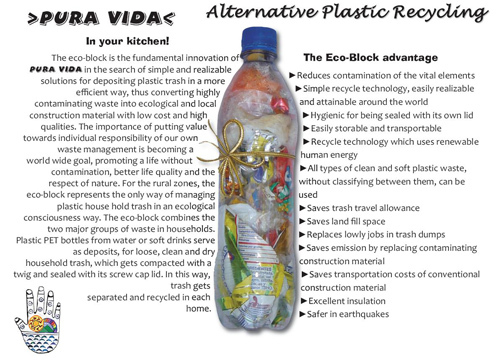 Pura Vida started as a pilot project in January 2005 in the village of San Marcos la Laguna in order to solve the community’s trash problem. After two years of experience the Pura Vida pilot project is emerging as an ecological movement around Lake Atitlán. PURA VIDA is not an association nor a Non Profit Organization, but an independent movement! For that reason we do not receive much financing, we don’t have a public office or salaried employees. PLEASE take this into consideration! Through these educational materials and concepts, which are constantly being updated, we offer you help and guidance. The ability to change the situations at home, in school or in your village regarding better waste management must come from your own passion and hard work. 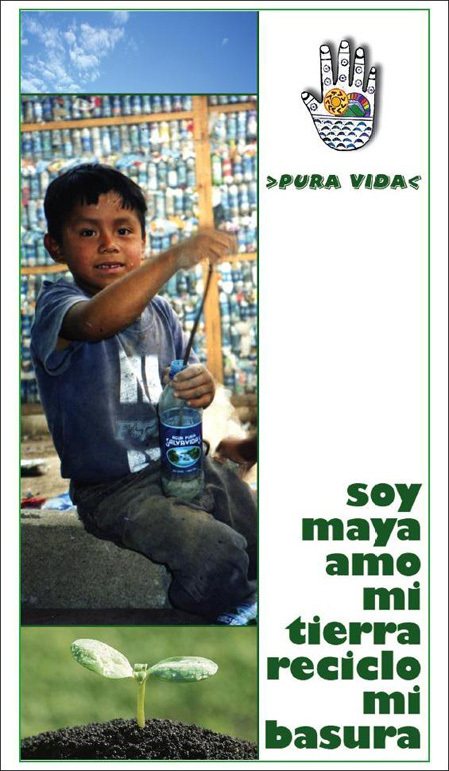 Pura Vida believes that as part of nature, human beings are responsible for the waste we produce. Communities must share this responsibility with environmental organizations, corporations, local political authorities, teachers, parents and children. 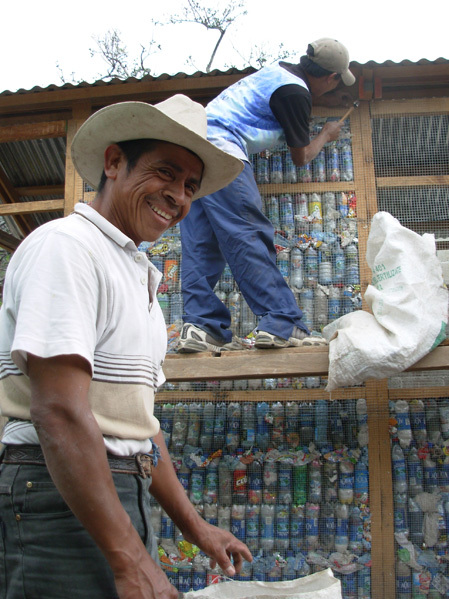 Pura Vida is building with trash while building the environmental consciousness of communities.